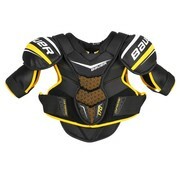 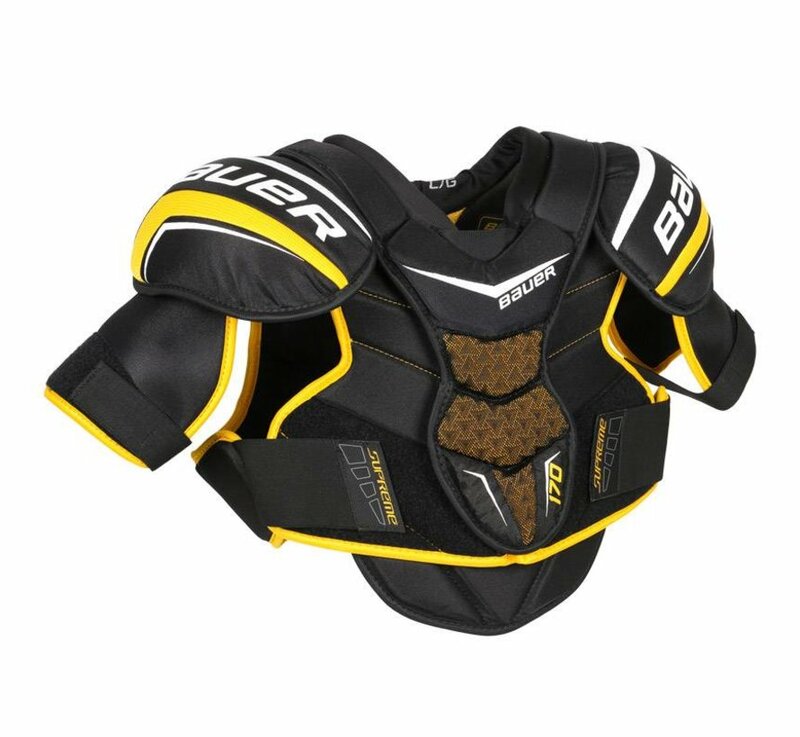 The Bauer Supreme 170 Hockey Shoulder Pads offer excellent performance at an even better price. 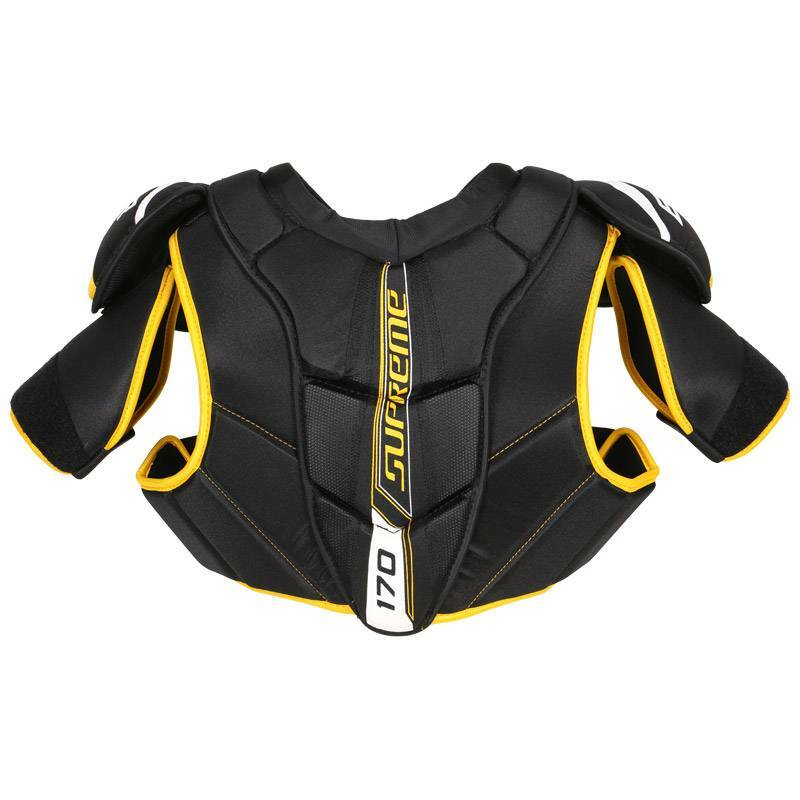 Vent Armor foam located in the sternum guard is extremely lightweight and provides elite level protection to that vital area. 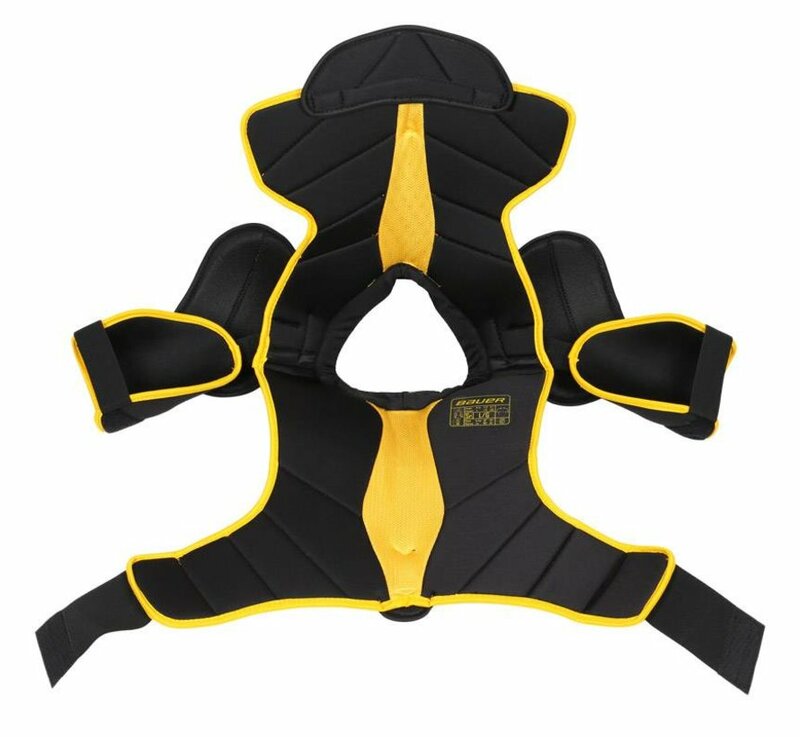 The spine guard is lined with high density foams reinforced with plastic inserts to protect you from injury. 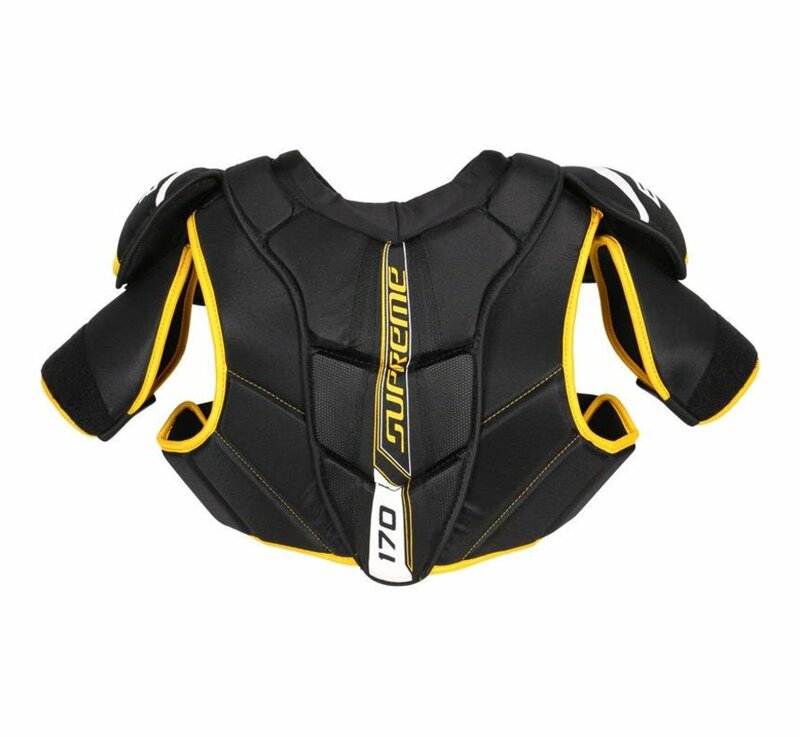 The Supreme 170's utilize an anatomical fit that sits close to your body for the best power transfer and mobility. 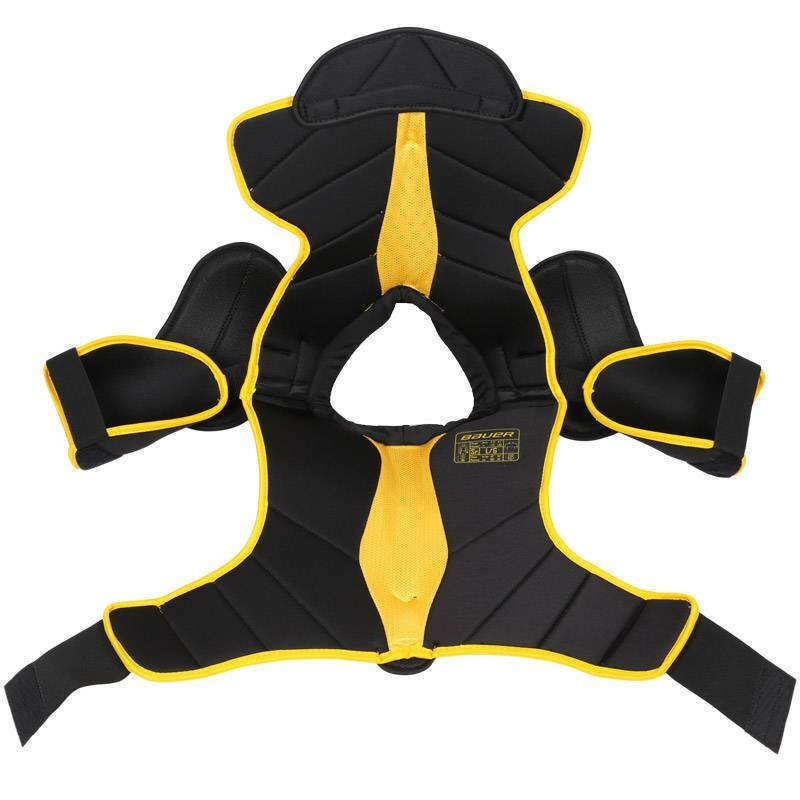 The 3-piece panel design allows for exceptional mobility while maintaining consistent protection. 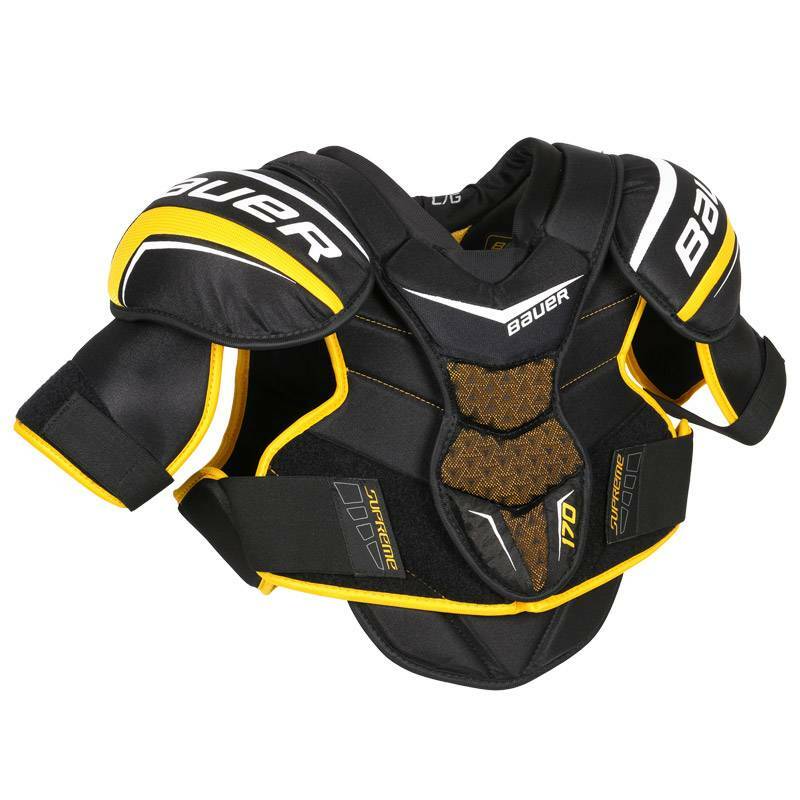 The molded plastic shoulder caps lined with medium density foams wrap around your shoulder for a low-profile design. The front and back panels along with the kidney guard are outfitted with medium density foams for protection from pucks and slashes. 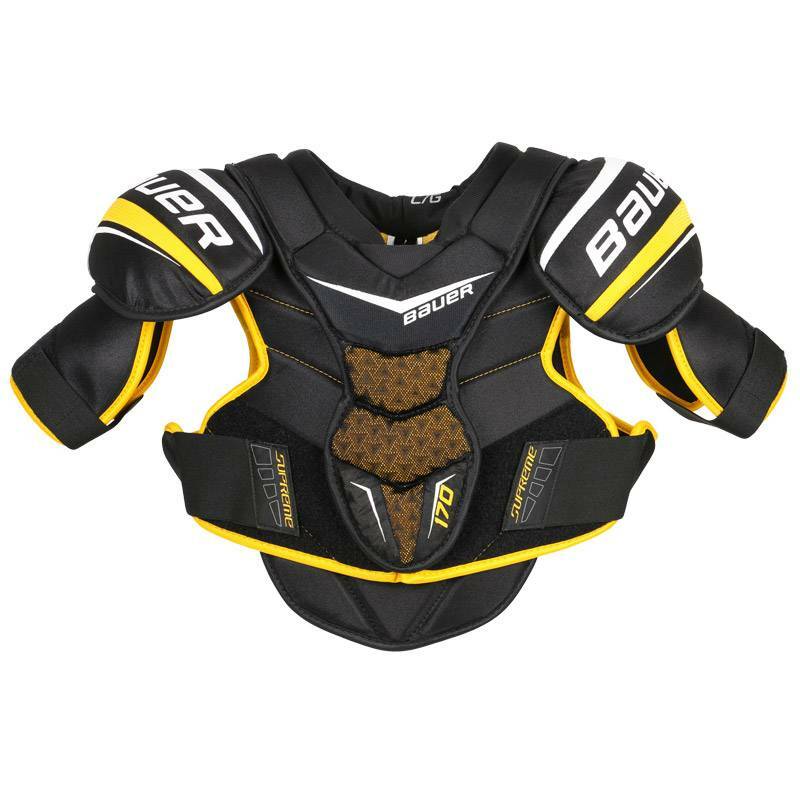 The molded plastic bicep guard is adjustable so you can customize your fit.